I was curious as to how the season was put together, and whether there was any underlying programme. Douglas explained that whilst he always tried to programme operas he loves, it was surprisingly difficult to tick all the boxes, what language they are in, whether they use chorus, musical style and of course popularity. Garsington is not publicly funded so the company has to be able sell the operas to the public without compromising artistically. Since the company was founded (by Leonard Ingrams in 1989 ), it has been known for its investigations of rarer repertoire such as Rossini's Maometto II and Strauss's Der liebe der Danae. This year, Douglas admits that the season is somewhat more popular than usual, but there is a very good reason. The festival is growing. The demand for tickets and growth in their regular supporters has led to the company to move to four operas per season in 2017 along with more performances. For a small company this is a huge undertaking so this year Douglas and his team are making sure that they have a secure season and carry the audience with them by programming more popular items. So far, demand has been excellent and both Eugene Onegin and L'Italiana in Algeri are fully booked with Idomeneo nearly so. 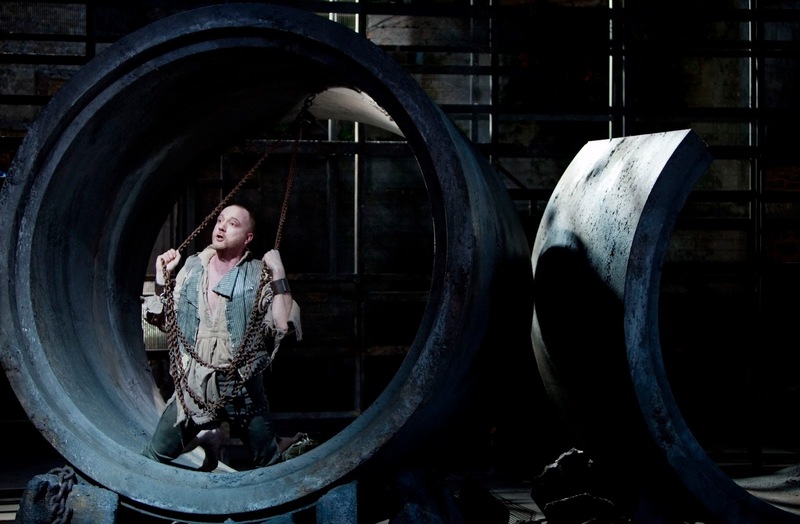 (Idomeneo is perhaps the rarest of the three operas and Garsington last performed it 20 years ago). The trio manages to tick most of the right boxes. Douglas feels that there are two operas for the young singers of the wonderful Garsington Chorus to get their teeth into (Eugene Onegin and Idomeneo) with a third that barely uses chorus at all, so there will be no problems of rehearsal logistics (they couldn't manage to to three chorus heavy operas). And the three operas balance comedy and tragedy rather nicely. Certainly Douglas has a wish list of operas he would like to do, but he points out that scheduling one would be pointless if you haven't got a clue who will sing the lead roles. How the process works becomes apparent when Douglas talks about the casting of Eugene Onegin which has two interesting role debuts. Douglas had worked a lot with Roderick Williams in concert (but not opera) and it turned out that Roderick Williams had been dying to singing Onegin. Douglas describes him as 'a wonderful singer' and points out that not only is Williams making his role debut at Garsington but that the role is something of a departure for him. 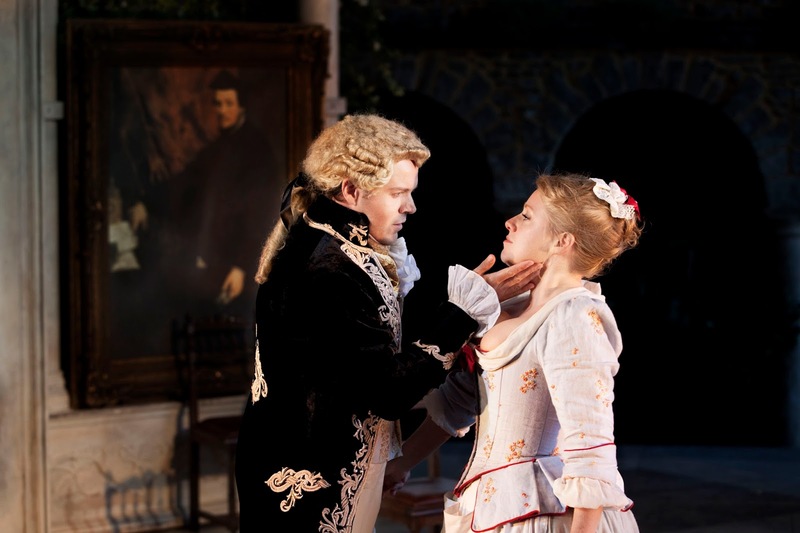 The Tatyana in the production is Natalya Romaniw whom Garsington has had its eye on for some time; some years ago she did a general audition for the company and it was apparent that she is a talent to watch. Natalya Romaniw has been on the young artist scheme at Houston Grand Opera, and by co-incidence the Director of Artistic Administration at Garsington, Laura Canning, was previously at Houston and brought amazing reports of Natalya Romaniw with her. Previously Douglas had worked with Natalya Romaniw in 2014 when the music from Beethoven's Egmont was performed at Garsington, and he wanted her back to sing Tatyana. Another exciting piece of casting is Toby Spence singing the title role in Idomeneo; Douglas had worked with Spence in concert and they had been having discussions about Idomeneo, and Douglas calls Spence 'a fantastic tenor', going on to add that overall it is a great cast. Idamante is being sung by Caitlin Hulcup (who sang in Garsington's production of Rossini's Maometto II) with Louise Alder as Ilia and Rebecca von Lipinski as Elettra (Von Lipinski has previous sung Leonore in Fidelio at Garsington). Tchaikovsky's Eugene Onegin is being directed by Michael Boyd, former artistic director of the Royal Shakespeare Company (who made his operatic debut last year directing Monteverdi's L'Orfeo for the Royal Opera at the Roundhouse). Last year Garsington collaborated with the Royal Shakespeare Company on a production of Shakespeare's A Midsummer Night's Dream and Garsington vice-chair is on the RSC board. So when Douglas knew that Michael Boyd was interested in exploring opera, discussions took place. The initial idea was Debussy's Pelleas et Melisande (which Michael Boyd will be directing at Garsington next year). But as Michael Boyd speaks Russian, knows Pushkin (on whose novella the opera Eugene Onegin is based) and studied in Moscow, he seemed ideal for Tchaikovsky's opera. Michael Boyd is setting the opera in period, feeling that this is what the narrative needs. 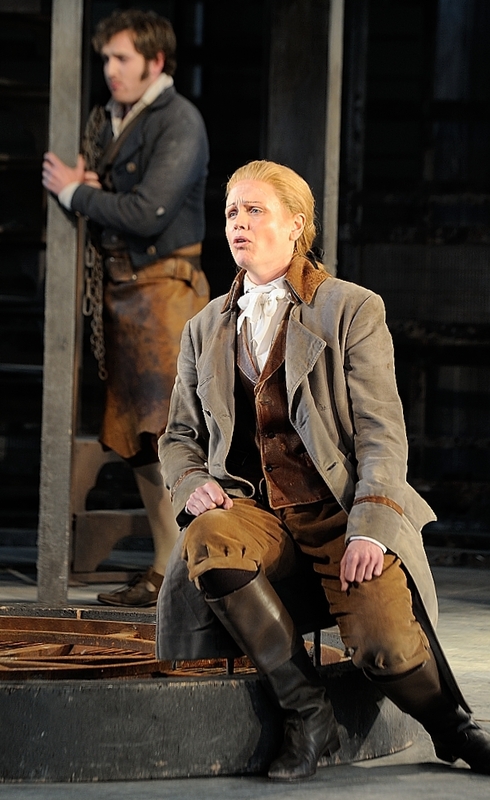 Idomeneo will be directed by Tim Albery, whose work Douglas knew because of Albery's long association with Opera North. Douglas's wife was a cellist in the Opera North Orchestra and so Douglas had seen Albery's productions in Leeds, including Verdi's Otello and Britten's Peter Grimes. Albery was a director whose work Douglas admired, but who had never worked at Garsington so the production of Idomeneo was an opportunity to make him part of the Garsington family. Will Tuckett will be directing Rossini's L'Italiana in Algeri, which is being conducted by David Parry. Will Tuckett is a dancer and choreographer who has directed a number of theatrical events at the Royal Opera House, but this seems to be the first time he has directed an opera. He was very much on Garsington's radar, and the connection was helped by the fact that Tuckett knows David Parry quite well. As artistic director Douglas admits that he doesn't 'get it right all the time', but he feels that no matter the period the opera is set in there is some sort of integrity for the music. By 2020 Douglas wants people to know that music is at the heart of the performance whether the production style is period or edgy contemporary, and he is confident of the 2016 season having seen the way the directors work. Douglas started out as an oboist; he was a founder member of the Chamber Orchestra of Europe and their principal oboe from 1981 to 2002. But he stopped playing the oboe in 2002 to concentrate on conducting. He appeared as a guest conductor at both the old and new Garsington, working every other year on productions such as Beethoven's Fidelio (in John Cox's production), Mozart's Le nozze di Figaro and Don Giovanni. And he found that he loved the ethos and camaraderie. Of course, not everyone who conducts wants to be in charge of a company (he is also Chief Conductor of the Musikkollegium Winterthur and Music Director of L’Orchestre de Chambre de Paris). But Douglas likes being musical director rather than doing endless guesting, as being with a company means that their is the possibility of building something. When Anthony Whitworth Jones retired from being General Director of Glyndebourne, he was felt to be irreplaceable. So instead of looking for another intendant (very much as Anthony Whitworth Jones had been), the board decided to split the role and appoint a CEO and an artistic director. Douglas admits that the artistic director role could have been theatre of music based, but it was Douglas who was chosen. The division is not clear-cut. Executive Director Nicky Creed is in charge of finance and administration but things cross over every day so she is involved artistically and Douglas gets involved in the management. He gets on well with Nicky (and he adds that if he didn't it would be a nightmare). They agree 90% of the time, and for the remaining 10% have healthy discussion as they balance artistic value against the stewardship of resources. The day we meet, Douglas had prefixed his six hours of rehearsal with a management meeting, and he quotes Alan Titchmarsh's comment about how you never come in from the garden and say that's the garden done, there is always something else. For Douglas running the opera company is like that. As regards plans and developments, he sees the company as being very much in the middle of a story; though they have a wonderful company, he feels that they do not blow their own trumpet enough. He talks about being in the perception business, providing a steady drip to change the company's profile. This seems to be working and Douglas feels that the company's reputation has changed. 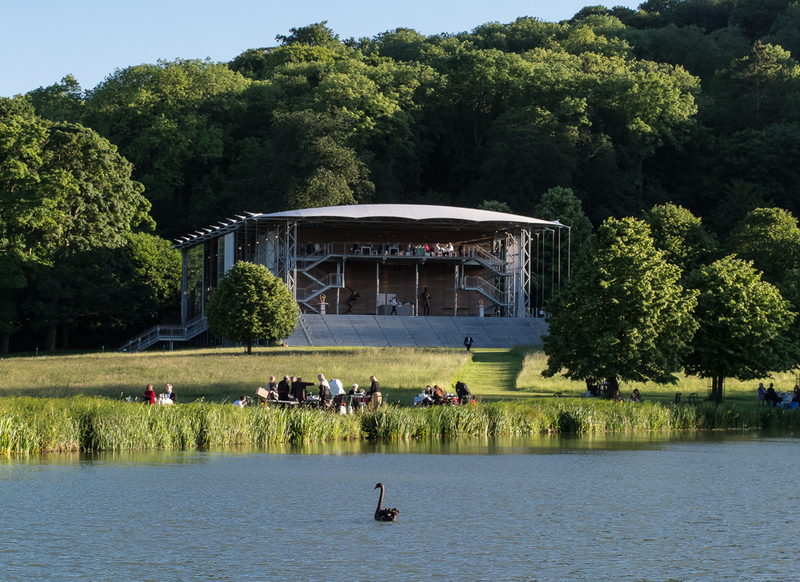 Where once Garsington was regarded a junior partner in the world of international summer opera festivals, Douglas sees it as now being accepted as on a par with the others. He thinks that casting is now top-notch with many world class singers performing at the festival. They are also developing other partnerships, last year the Royal Shakespeare Company and this year Rambert (with whom they collaborate on a staging of Haydn's The Creation). Excitingly, next year the Philharmonia will be coming and playing for one opera a year as part of a five-year agreement. Next year they will be in the pit for the new production of Debussy's Pelleas et Melisande. Douglas adds that this helps with the expansion to four operas, as doing all four with a single orchestra would hardly be feasible logistically. Also in 2018 there will be world premiere. Another partnership coming is up with Santa Fe Opera and they are doing a co-production of Richard Strauss's Capriccio, directed by Tim Albery, which debuts in Santa Fe this summer and comes to Garsington in 2018. Both membership and audience numbers have increased so 'hopefully we we are doing something right'. 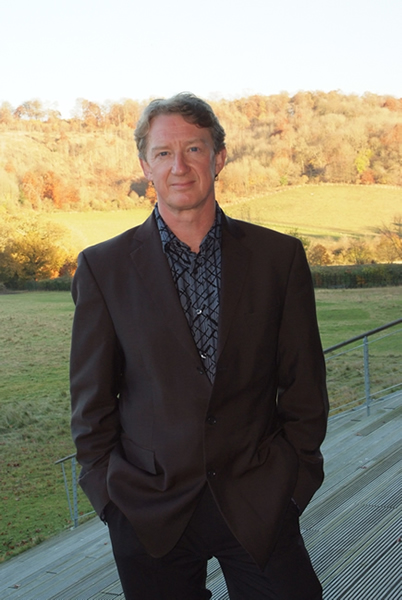 Garsington relies on private funding (as opposed to corporate), which means that it is similar to the Chamber Orchestra of Europe where Douglas used to work. So for him funding is about creating relationships, and these only work if the artistic work they are doing is excellent. Whilst people have to be entertained, he also wants the work to be of the highest quality. Like many performers, Douglas' desert island piece is the one he is working on at the moment (this week Eugene Onegin, last week Haydn's The Creation). But there is a lot of music out there and his taste is very eclectic. Many of the pieces he would like to do are those which have memories for them. He was in the Chamber Orchestra of Europe when Claudio Abbado did the first performances in modern times of Rossini's opera Il viaggio a Rheims. This is an opera which needs 14 extraordinary singers (Abbado had an unbelievable line-up). It is one Douglas would love to perform, but it is not a cheap undertaking. Other operas at the back of his mind include Schumann's Genoveva which he feel is amazingly underrated, though the story has issues so it would need a good director.